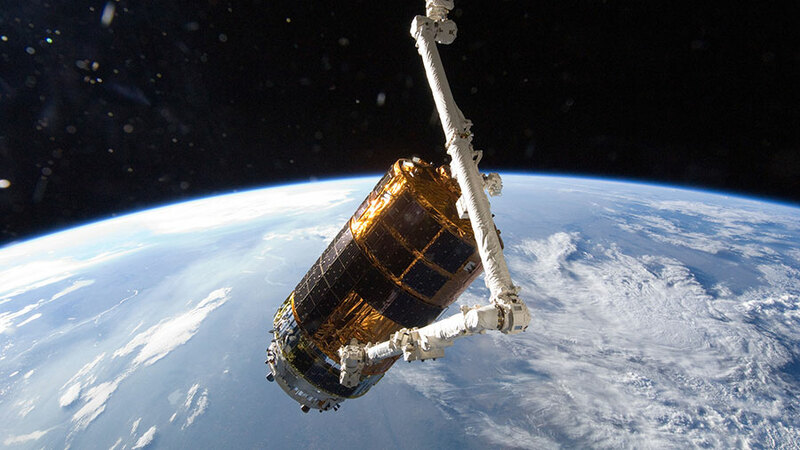 Japan’s third HTV was captured with the Canadarm2 in July 2012. Inclement weather forecast at the Tanegashima Space Center in southern Japan has again caused a postponement of the launch of a Japan Aerospace Exploration Agency (JAXA) H-IIB rocket. The new launch date is set for Wednesday, Aug. 19 at 7:50 a.m. EDT. The rocket will send JAXA’s H-II Transfer Vehicle (HTV)-5 on a five-day trip to reach the International Space Station on Monday, Aug. 24. The unpiloted cargo craft, named Kounotori, Japanese for “white stork,” is loaded with more than 4.5 tons of research and supplies, including water, spare parts and experiment hardware for the six-person space station crew. Live coverage of the launch begins will begin Wednesday at 7 a.m. on NASA Television and https://www.nasa.gov/ntv. Join the conversation on Twitter by following @Space_Station and the hashtag #HTV5. To learn more about all the ways to connect and collaborate with NASA, visit: https://www.nasa.gov/connect.